Welcome to iPC Solutions. Computer, new build and upgrade specialists based in Maldon, Essex. 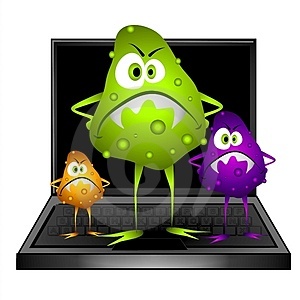 Do you have a virus or nasty malware/ransomware problem? Give us a call as we can get rid of the nasty infection. Check out our Facebook page for up to date offers and our stock pages above and bespoke systems designed and ready to go. NEW WEBSTORE IS NOW LIVE! Visit us now to buy all your computer parts, pre-built systems and software. All secure and credit/debit cards and paypal is accepted. We also have out new System builder if you would like us to help you design your own special PC. We can visit you and help design your ultimate PC and we can also now design and have built your own bespoke laptop! Call us to know more. Thank you IPC Solutions for my new computer. After having my old computer for 6 years, it died a couple of weeks ago. I facebooked Ian Harden my requirements and within a couple of hours, Ian had spec'd two options for me and told me about the pros/cons of each. After we sorted out payment, my new pc was built, tested and delivered in 2 weeks. I was very impressed with the speed and quality of service. All achieved within my budget, and informed throughout the process. Thank you for home delivering the computer and setting it up for me. Also thank you for talking through the features with me. I am confident that if I have any queries, or if any issues arise, I can contact you straight away for help/support. Thank you.